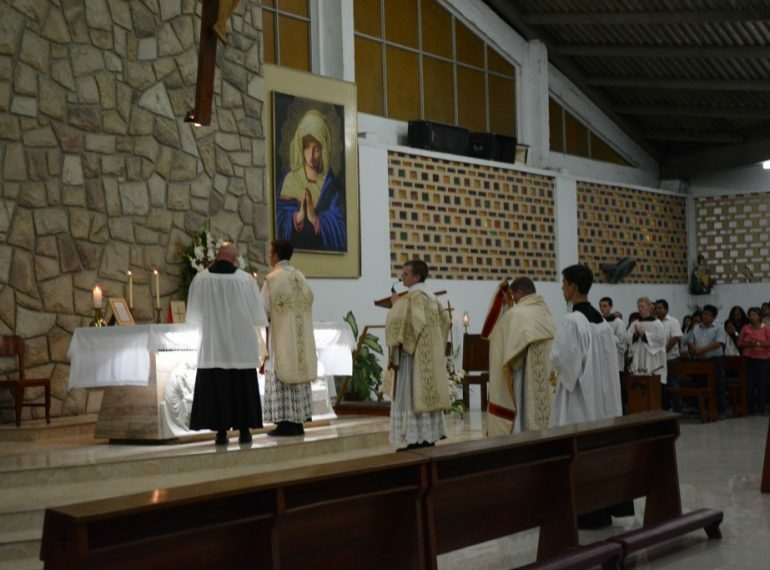 Sunday: 6 Masses, 4 Priests, 3 Seminarians and 36 Missionaries. This morning we broke into two groups, pooled into the vans and drove to different churches where we were to say Mass. 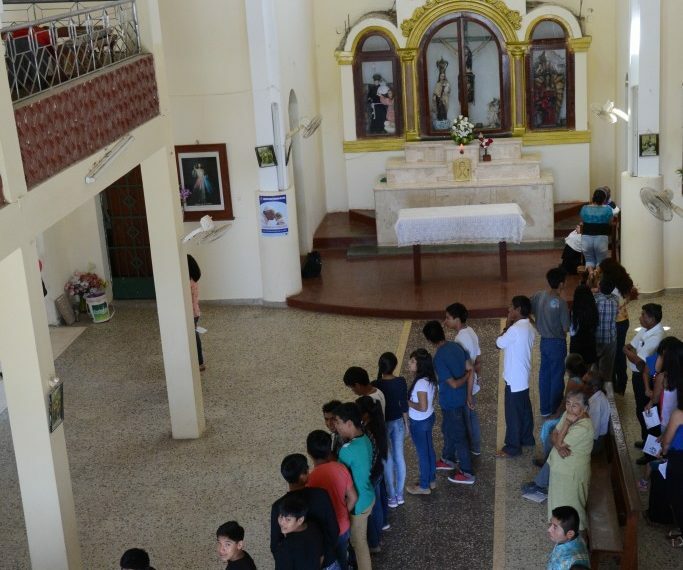 Each church was filled with Peruvian men, women and children, excited for the Mass to begin. 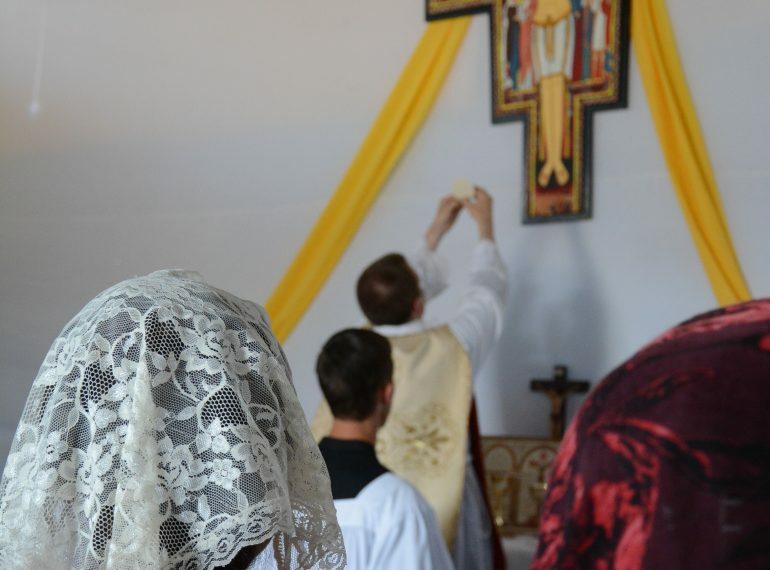 Some churches had not had a Mass in their town in months. Once the Ceremony began, the locals were amazing by the beauty of the Priest's actions and the singing choir. When the Masses ended, the Peruvians came up to us and some with tears in their eyes thanked us for everything. A swarm of people came up and asked the Fathers to bless things; water, rosaries…children. They all knew the power of a priests blessing, even the young children dunked their heads in the newly blessed holy water. Outside the church the Peruvians wanted us to hold their babies and play with their children. Then we piled back into the vans and drove to the next church to experience the same thing at the next Mass. After six Masses all over the city, some low some high, we were all fried out, but joyful and satisfied at our days work; the work of a true missionary, teaching the Faith and spreading the Gospels.